Check our Frequently Asked Questions section below to answer your question. If information you are looking for is not available then mail us through the contact form and we will answer you as soon as possible. What are the arrival procedures and check in timings for your boats? 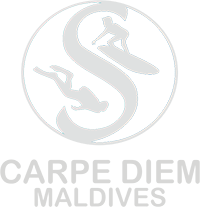 When you fly in on the same day of commencement of your trip on either of our boats, you will be met upon arrival by a representative of Carpe Diem Maldives, who can be identified by a crew polo or t-shirt and sign board with the companies’ logo. The representative will then confirm the below check in timings or inform you in case of any changes. In case you can not find anyone please contact +9607950883. Should you stay in a hotel prior to your trip with us, we will meet you at the info/help desk arrivals hall at our check in timings as described below. We are not able to provide pick ups from hotels. What options do we have when we arrive early morning before check in or have late departure flights? Other possibility is to visit the nearby airport hotel, Hulhule Island hotel and make use of their facilities. The hotel offers different packages like a swimming pool package of 72 USD p/p which includes transfer, luggage storage, 1 drink, use of towels, Wi-fi, 10 minutes of reflexology, sun beds, swimming pool, showers and changing rooms. No reservations are needed for this and cost can be paid directly to the hotel reception. Or possible day room use in a guest house in Hulhumale depending on availability. What is the min. number of dives required to join your trips? On all of our boats we have a fully licensed PADI dive school on board and at least one dive instructor. Courses can be provided in English or German language. Please however inform us of any course wishes prior to your trip. For types of courses provided, rates and other info please click on the below links. What is your max. 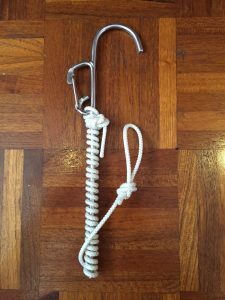 dive time per dive? A dive insurance is mandatory. Short Term insurance can be arranged on board valid for 7 or 14 days at a cost of 20 USD + GST or 30 USD + GST respectively. For more information on the coverage please click on this link, or use the button below for the attached pdf-document.